The BodyGem and MedGem are both indirect calorimeters, that determine RMR – Resting Metabolic Rate, to help clients optimize their weight loss results. Instead of estimating RMR, the BodyGem and MedGem scientifically measure a clients Metabolic Fingerprint, that is unique to them. 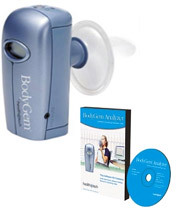 The BodyGem displays RMR readings and works with the BodyGem Analyzer companion software. The BodyGem System is a lower priced option, because it has no associated FDA-approval costs, so it helps you increase your profitability. 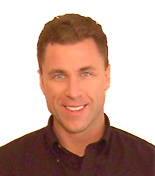 I specialize in helping Personal Trainers, fitness facilities and Dietitians, get a BodyGem to help optimize client weight management results and to increase profits. 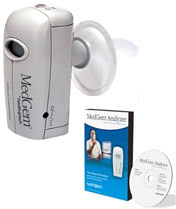 The MedGem can only be sold to licensed clinicians because it is a FDA-approval medical device. Bariatric Doctors, Dietitians and other licensed clinicians may be able to make insurance claims using designated CPT codes. Contact me to see if the MedGem or the BodyGem indirect calorimeter is the best fit for your needs. What is the life expectancy of the MedGem, that is, are there sensors that need to be replaced after a certain number of uses? What is the cost of the MedGem? I am a student , I am interesting in puchasing Bodygem or medgem. I would be very grateful if you provide a price for both the BodyGem and MG devices. Is there any difference in the Body Gem vs Med Gem as it pertains to accuracy, reproducibility and warranty? Are they the same machines, merely that one is “FDA approved”? Can you give me the cost of each. Thank you. We are a internal medicine practice looking to purchase one of the systems. I would believe the MedGem system is what we would want but if you could include pricing in both I would appreciate it. Just curious about cost. Looking to start up a nutrition consulting business. I work on the north shore of MA. I am interested in having indirect calorimetry performed for my patient. I have used medgem in the past. Is there any location on the north shore of MA that has a medgem and a person can get their RMR tested? I’m interesse of BodyGem but I live in Italy. Please, give me more information how to buy your device. I’m emailing from an Australian university. Could you please give me a quote for the BodyGem and MedGem, please? Along with this could you please forward me a quote for the mouthpieces and any other set-up costs or consumables required? I have to submit my equipment request to the committee overseeing the funding of equipment. It is due this Thursday (Australian time). So if there is any chance of getting a quote back before then, that would be fabulous!! Hi Marie-Lou, clients should not exercise, consume stimulants, smoke, drink alcohol, or eat, during the four hours prior to the measurement. I am a licensed physician in Ohio and am looking to purchase the med-gem analyzer and program. Can you please provide me with a cost of the system and additional supplies? Do you know about any codes for billing insurance that Chiropractic clinics can use?